I felt so clever when I thought of “Wild & Three”, but then I realized it was already a thing. My daughters favorite show is Spirit Riding Free which is about a wild horse and his adventures. Plus her favorite thing in the whole wide world our horses. She tells us everyday “I want to ride a big horse.” I have a feeling riding lessons are in her future. 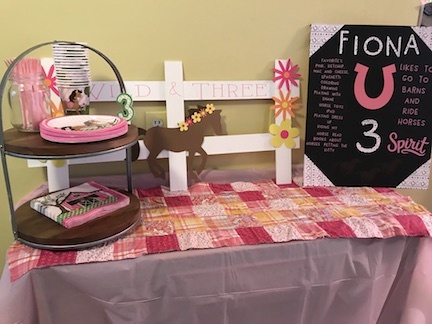 A Wild & Three Birthday Party combined the cute name along with her love for horses. I create all my decorations in Cricut Design Space™ using my Cricut Maker. If your on the fence about a Cricut, I say jump in and get one. It’s fantastic and you can do so much with it. 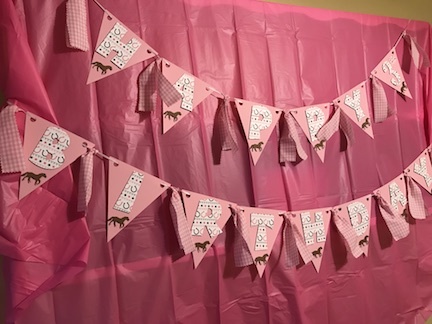 For the birthday banner I used pennants and this cowgirl scrapbook paper. I went to every craft store and was disappointed that I couldn’t find any horse themed fabric or ribbon, so I used the pink gingham. I love adding ribbon and fabric to banners. I think it just gives it a nice feel. 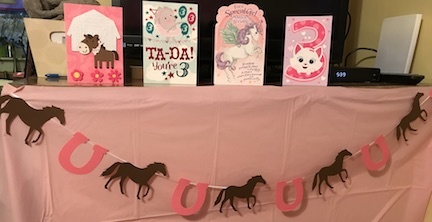 I also made a horse and horseshoe banner to display near her birthday card display. To make the banners stand out, I’ve been using plastic tablecloths because it makes the decorations pop. Here is my son’s Ghostbuster Birthday Party from this year. My favorite decoration from the party is the photo booth. To make this I used scrap plywood and glued it together like a split rail fence. 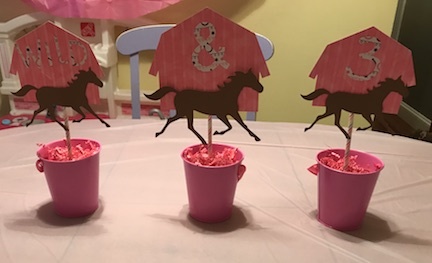 I added flowers and a horse to match the design on her party supplies. It’s adorable and perfect for a little girl. 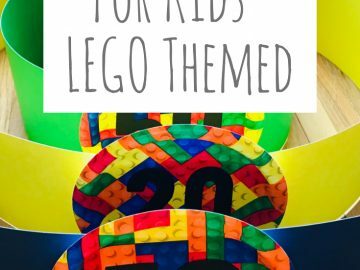 The birthday board is a wonderful keepsake and I love displaying them in the kids bedrooms. 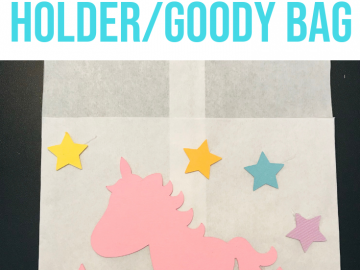 Here is a tutorial for a cowgirl birthday board and a Mickey and the Roadster Racer Birthday Board . 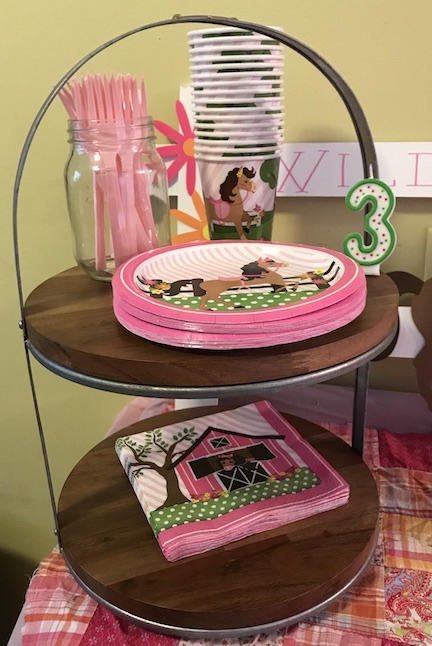 This cake stand worked perfectly to display the party supplies. I put the silverware from the Dollar Tree in a mason jar. 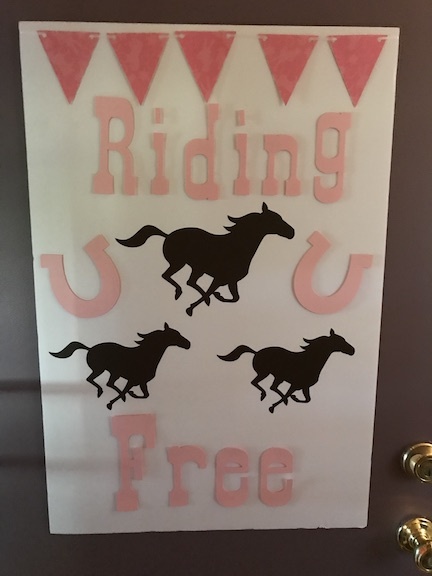 To welcome the guest, I used a foam board from the Dollar Tree and made a riding free poster. The poster is a combination of vinyl and cowgirl scrapbook paper. The centerpiece carried the Wild and Three theme with the horses and the barns. My daughter loves barns and gets so excited when she sees one riding in the car. Plus every horse party should have some type of barn. 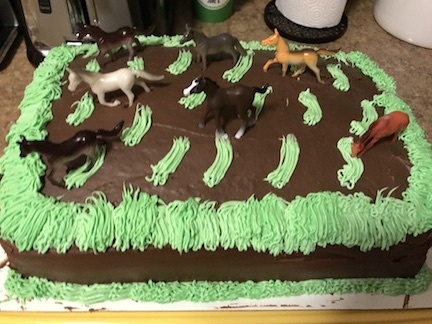 I created a cake that looked like Spirit’s herd running free. I’m no professional cake decorator, but my daughter loved it! 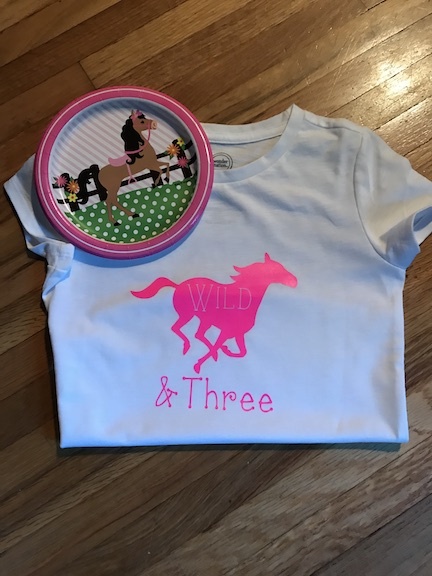 Wild and Three Birthday Shirt. 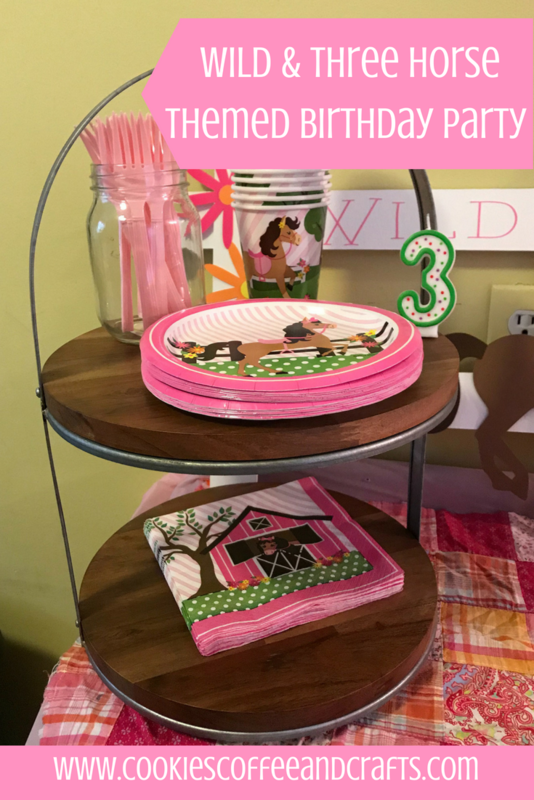 The Wild & Three Birthday Party is a combination of Spirit Riding Free, the playful pony plates, and adding in pink wherever I could. 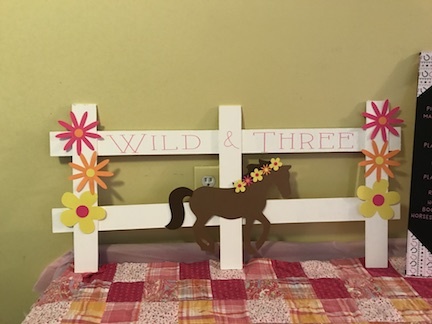 I feel like I melted all the themes and ideas together to create a memorable wild & three horse themed party. 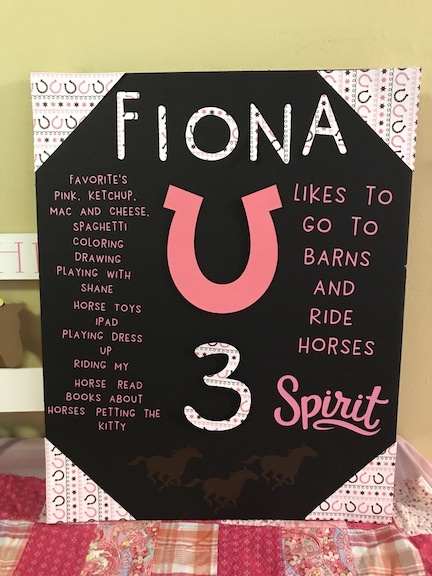 My daughter loved all of it and oohed and ached over her horse birthday party.